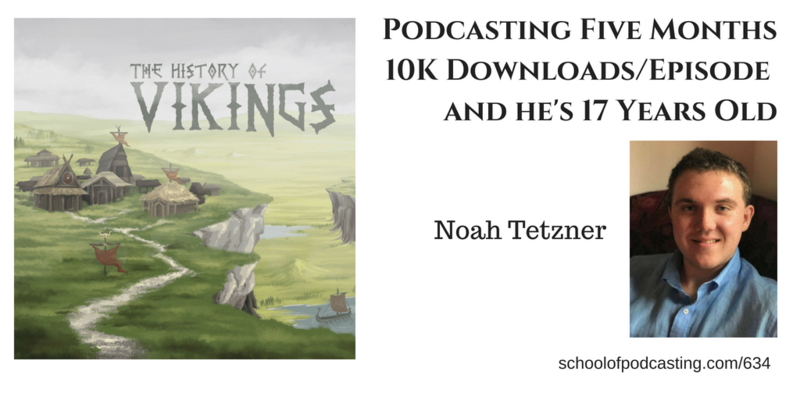 Today I talk with Noah Tetzner who starts the History of Vikings five months ago, and when the average podcaster is getting a little under 2,000 downloads per episodes, Noah is getting 10,000 downloads per episodes. I wanted to know what he's doing to grow his audience so fast. His main priority is growing his audience. Podcast Rewind: Where Has Dave Been? I am in a “Mastermind” with a graphics person, a lawyer, audio editors, and more. 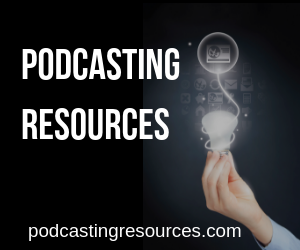 We are all podcasters and share our opinions on how to grow each other's podcast. It's free (you don't need to spend 5,000 a day to be in a mastermind – start one today). So What's This Have to Do With Your Show? Sometimes you need an OUTSIDE opinion to find things that are RIGHT IN FRONT OF YOU. There are people with 10 downloads who want to monetize their show. There are people with five episodes that want to quit their day job. A musician has written their first five songs. Can they make a living? An actor has gone on five auditions and might have a lead on a commercial. Can they make a living acting? An author has five manuscripts and an agent. Can they make a living as an author? The answer? It depends. The odds are not in your favor, but it's going to take TIME. Many “overnight successes” took YEARS to get their big break. If your sole reason is to make QUICK MONEY, and you are bringing NO AUDIENCE, the odds are stacked against you. So many people hear crowdfunding and focus on the funding, and forget that step is one is create a crowd. They put the cart before the horse. 2. Listen to them and determine what content they want to hear.